Major Lloyd Jones and his supporters are asking the most for Belize of its second class citizens – the Diaspora! Major! Your advocating for less rights for the Belizean Diaspora means you are advocating for less rights for yourself and every native born Belizean. How? Well Major, you yourself don’t have the right to hold dual citizenship without losing your right to political office. Yet you give that right to anyone who is not born in Belize. This means upon arrival to Belize they automatically have more rights than you in your own country! They have the right to enjoy multiple citizenships in your country and be full citizens but you, Major, you don’t hold this right! They have more rights than you right now in Belize. You, sir, are a second class citizen in Belize! What we’re seeing here from Major Lloyd Jones is basically unfair. It is unfair in its entire form. He is saying to the Diaspora we have to “pay to play!” In other words, before we enjoy full political rights, we, the Diaspora, must do this or that for Belize. If he had said yes, enjoy full rights and then said, but please, use your collective abilities to further our nation, I would be in agreement. Clearly, nothing in Major Jones’ offerings has invited born Belizeans holding two passports to enjoy full political rights back home. Nothing! Yet he wants these second class citizens, yes it is the law in Belize, to develop Belize! He is not asking anything of the people in Belize with all the money! Does this make sense? What makes it “emotional” for me and many others I’m sure is the fact, that as we speak, Guatemalan-born Denny Grijalva, who holds two citizenships, is running for representative of Belize. He is not a natural born, he holds two passports in Belize, yet he has more rights than us Diasporans. Not once did Major Jones or others interested in debate and intellectual conversations and less emotion ask Guatemalans to pay to play. No one asked them to develop Belize before they could enjoy full political rights! Jones doesn’t even bat an eye at this fact. Guatemala is wealthier than all of us in the Diaspora put together: ask them to develop Belize before you give them political rights we do not enjoy! How can we ask of people who enjoy the least rights, who are second class citizens in Belize to do the most for her? Mr. Ralph Huang is a dual citizen who is also running for high political office. Something myself, a natural born citizen, cannot do, because why? I have dual citizenship! Are you kidding me? So do Ralph Huang and Denny Grijalva. Although he does not claim dual citizenship, Rt. Hon. Said Musa is entitled to citizenship automatically in his father’s native country of Palestine! He is a twice elected Prime Minister. Yes he is Belize born, but he is also a dual citizen by Palestinian laws! Is this intellectual enough for you? The Taiwanese are an interesting group. They have Eric Chang, who has helped to galvanize Chinese support in Belize politically. Yet before they came to Belize, did Major Jones ask them to pay to play? I don’t think so. Ask the Taiwanese Government to develop Belize before you give them political power. Hold on! Sorry! They have political power and they maintain two passports, two citizenships, yet they can play. They have not developed Belize though they are very well capable of doing so in about three years. We in the Diaspora have done far more for Belize than Taiwan or Guatemala put together. Yet we are asked to pay to play and we are denied full political rights! Again, Major, you are asking of those who have second class citizenship to do the most for Belize. Yet there are those who are enjoying dual citizenship status and full rights, Major, you yourself don’t have. You, Major, cannot hold dual citizenship and maintain your full rights in Belize but a Guatemalan can come tomorrow to Belize and have more rights than you in your own country! They have more rights than you, Major, because they can do that in YOUR country and YOU CANNOT! Get it? Should we keep going? OK! Let’s talk about the Arabs. They came to Belize and they have all the political power they need or want. Full political power is the order of the day for them. Where is Jones now asking them what have they done for Belize lately? Did they address any of the questions Jones has asked of the Belizean Diaspora? No! They have two citizenships and they have two passports. We the Diaspora born and raised in Belize, must pay to play? We have done far more for Belize. Now without guaranteeing us anything you want us to pay to possibly play? You do not support our rights in Belize? You yourself without considering, my good man, are a second class citizen in Belize. Rt. 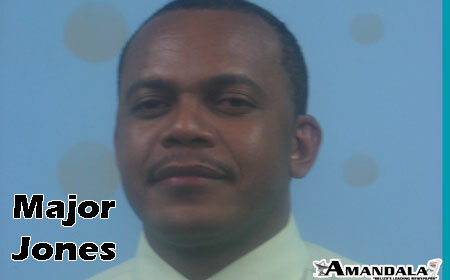 Hon Dean O Barrow is a second class citizen in Belize. Barrow cannot have dual citizenship, yet two of his potential Ministers CAN! I dare you, Major Jones, to acquire another citizenship. You will lose your first class citizenship status, but any foreign born can come to Belize and enjoy dual citizenship and still be a first class Belizean. Major Jones, neither you nor I, have such rights in our country! Yes, Major, I will get emotional about such unfairness being perpetuated upon me by my own family! Yes! I’m going to be emotional at the thought of my family showing strangers love and kicking me to the curb. Yes, it hurts feelings; negotiating with you for my natural born rights while everybody else strides through the door undisturbed. Then as a natural born walks in through the door, you strip search them! Listen! Stop asking Belizeans to pay to play and let in wealthier people for free who do nothing for Belize. Stop asking those with the least rights, those who are second class citizens, to do more than those who have the ability to do more. Second class citizens in Belize are comprised only of natural born Belizeans. Let that sink in a while, Major! You are not being very logical. Just give me my rights! What is there to debate? I’m demanding my rights as a natural born citizen of Belize!